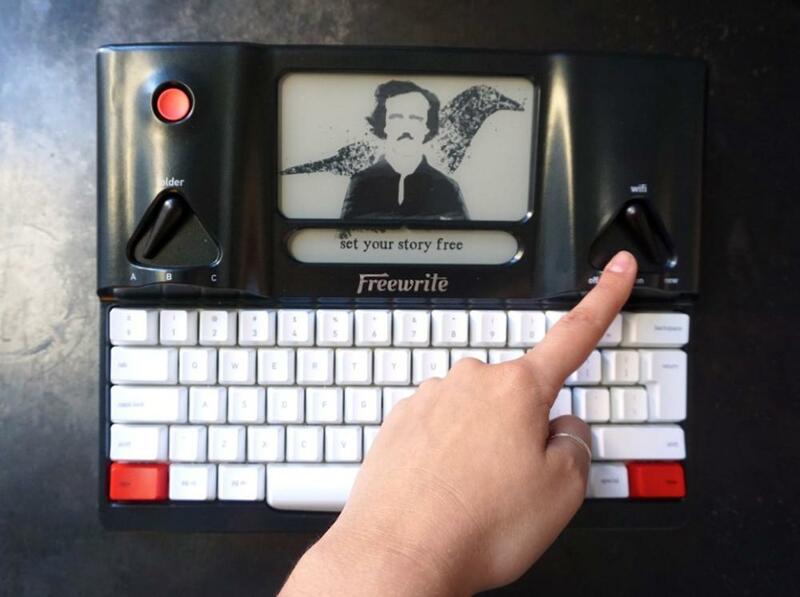 Start syncing your Freewrite to the cloud by connecting to a local Wi-Fi network. To do this, simply rotate the Wi-Fi switch to “new” to scan nearby Wi-Fi networks. Select yours using the number keys and enter the password, if necessary. Once you successfully connect the first time, you will be asked for an email address to associate with your account.